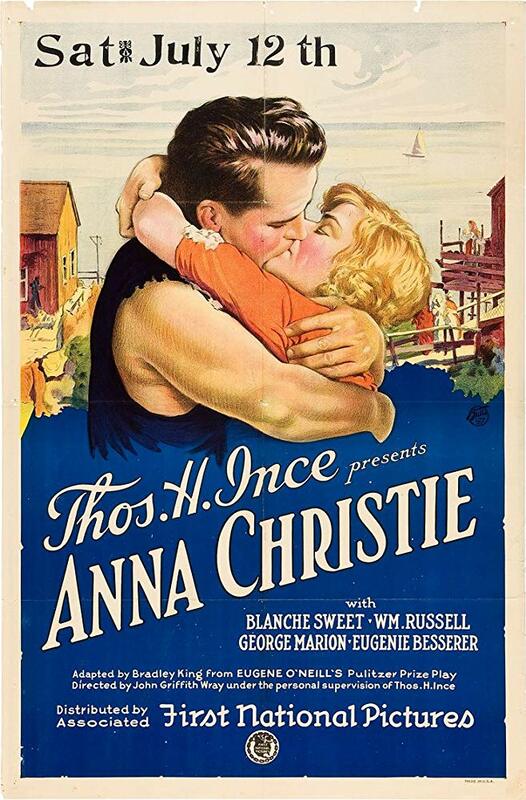 Anna Christie is a 1923 silent era drama motion picture based on the 1921 play by Eugene O’Neill (first film version), starring Blanche Sweet and William Russell. Directed by John Griffith Wray and produced by Thomas H. Ince for First National Pictures, the screenplay was adapted by Bradley King from the Eugene O’Neill play of the same title. Thomas H. Ince Inc. paid a then-astronomical $35,000 for the screen rights to the play. The sole remaining print was discovered in Europe in the 1970s.